Johnny B’s Car Care is a one-stop shop for all your car care needs. 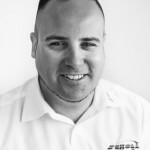 Owners Paul and Tracey stock Scholl Concepts products, and use them in the onsite detailing studio. Remember, you can a hire a detailing bay, equipment and get all the products you need to prepare your own vehicle to the highest standards. I was provided with a 1998 Ford Fiesta – an ideal vehicle to show the meet guests the capabilities of the Scholl range. I say ‘show’ but more importantly I wanted to give those watching a chance to actually try machine polishing so they could experience how to achieve a fantastic finish. S20 Black – Scholl’s superb one-step compound. On this occasion I decided to use Scholl’s S20 Black. 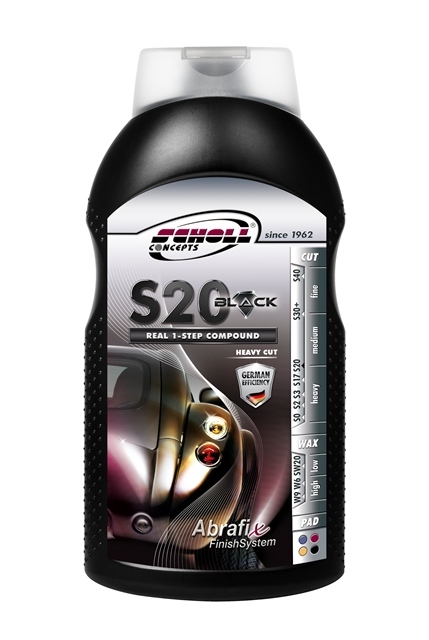 S20 is a one-step compound capable of removing swirl marks, paint oxidation (fading) and light scratches. 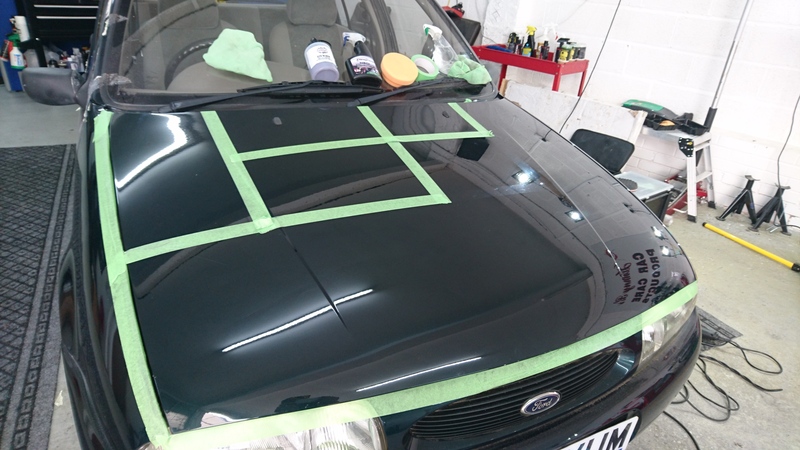 S20 Black, applied with a Scholl Purple Spider Pad, will also enhance the gloss finish of the paintwork. Participants had the choice of using a D.A. (dual action ) polisher or a rotary polishing machine on the fiesta’s bonnet. Naturally we taped the bonnet off into sections so everybody could clearly see the improvements the S20 Black was making. The benefits of S20 Black were obvious in very short time! I’m pleased to say we had a number of brave volunteers who got stuck in and gave the machine polishing a go. They could rapidly see some positive results for their efforts. At lunchtime I was asked to help judge the ‘Show and Shine’ competition and I was blown away by the standards of the cars that were entered. We had everything from American cars, custom vans, stanced and airbagged cars, one-off paint jobs, etc. The sheer effort the entrants had put in was obvious and it made our judging job very difficult. First place went to a black Audi A3, second to a blue Peugeot 206 and third was claimed by a red Vauxhall combo van. Each of these winners earned a goodie bag and a trophy. The three runners’up were a silver Mk6 Fiesta, a new age beige VW Beetle and a red Mk2 Golf.